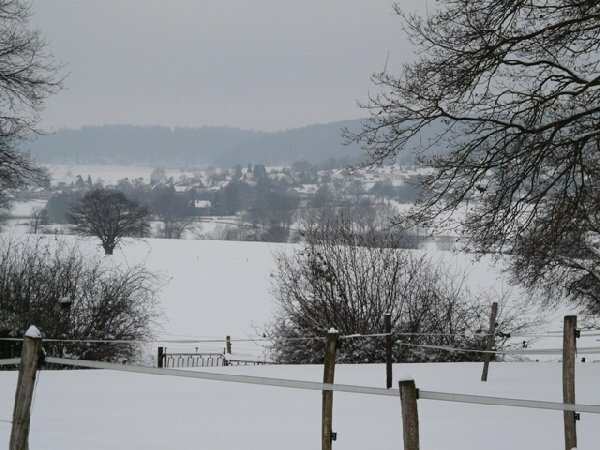 Spoil yourself with a visit to the lovely five-star landscape of South-Limburg. 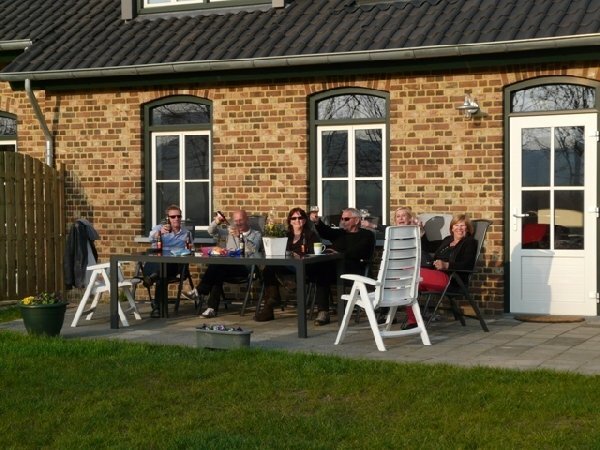 Hidden in this authentic hilly country you will find our 2-10 person holiday houses, fully equipped to meet your every need. Lovely walks in the forests, cycling in Limburg, arrangements with Tourist Information Limburg. Your will find yourself directly surrounded by nature. Within walking distance you can access forests, pastures, and cycling routes accompanied solely by peace and quiet. Restaurants, bars/pubs, and public transportation are only a ten-minute walk away. Us offering houses that are easily accessible for disabled people or people with a handicap, is a welcome addition to the direct region. Spacious houses that can be combined for the entire family. People who are environmentally aware at home, expect the same standards while on holiday. Our accommodations are geothermally heated and get their water from a solar water heater. 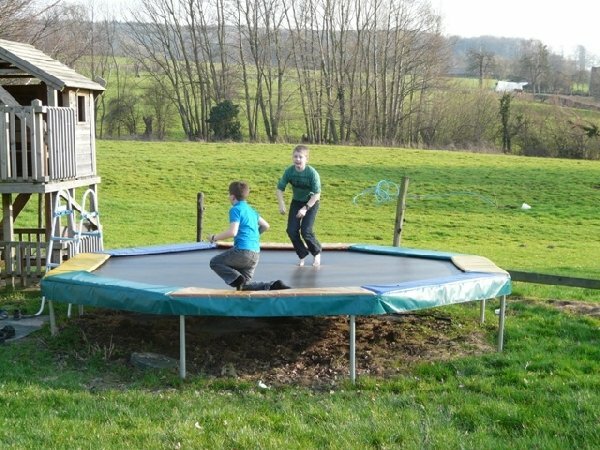 Children will be able to entertain themselves in a safe and conveniently arranged surroundings. The mew, spacious and luxurious 2-12 person holiday house (approximately 150 m2) has 4 bedrooms. The house is located on a former farm location and has maintained many of the authentic details. Plenty of toys and numerous board games are present. For the little ones there's a playpen, a camping bed, a baby chair and a babybath. Please indicate if you wish to make use of these items when you make your reservation. 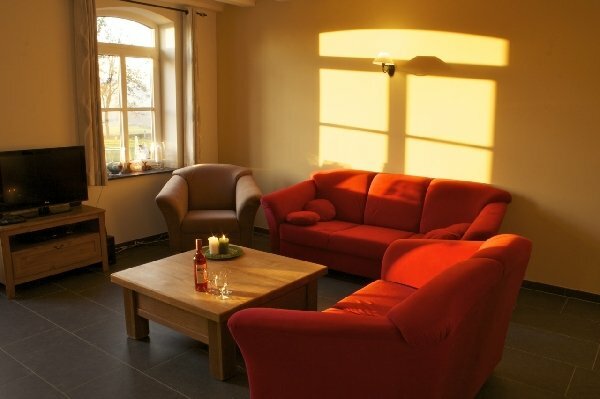 In short, this accommodation is extremely suited for families. 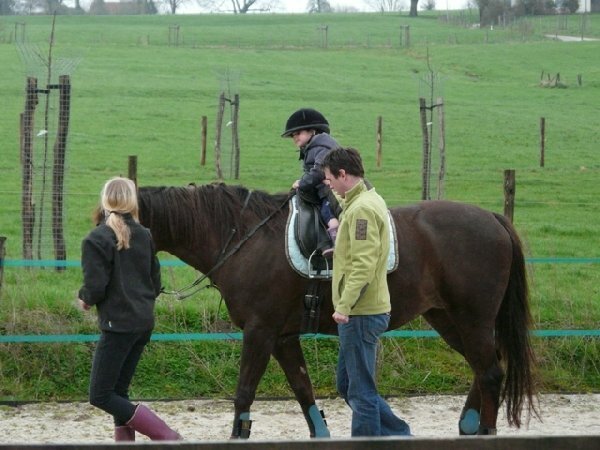 It is alsa possible to ride on our horses under supervision in the backyard horse arena. The living room has cable-TV, a DVD player, a radio-CD player and wireless internet. The open kitchen has been equipped with all the modern comforts like a dishwasher, a gas cooker, a microwave-oven, a refrigerator with a freezing compartment, a coffee maker, a water boiler, and toaster. 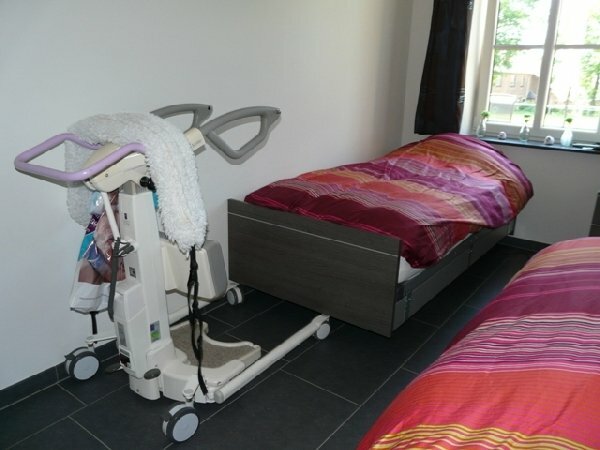 The first floor bedroom holds a 2 person electric bed. One side of the bed is height adjustable en both parts can be extended. There is also a TV in this room. The second floor holds a very spacious four-person bedroom. On this floor there is also a separate toilet, and a bathroom with a large shower, a tub, a toilet and two sinks. The third floor holds two two-person bedrooms. All beds are already made on arrival. The living room/ kitchen gives access to a large adjoining terrace, equipped with adjustable garden seats with cushions, bordering a large pasture from where you have a panoramic view. 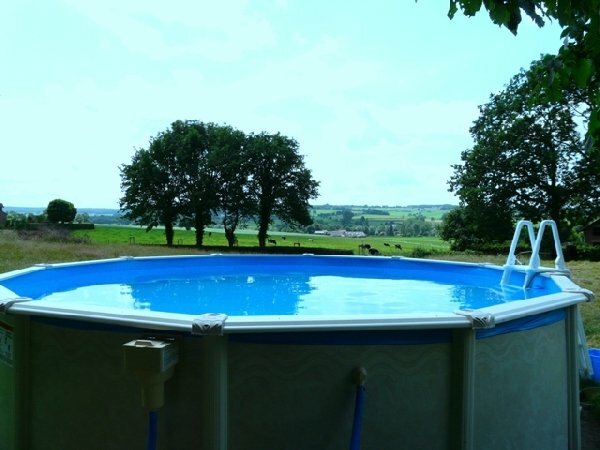 It is also possible to rent Klaproas (2-person) or Maretak (2-person) separately. 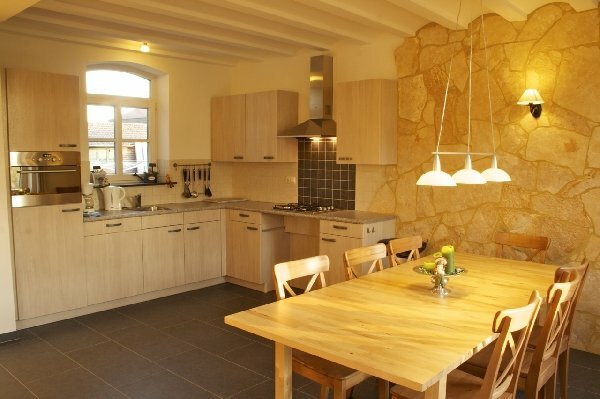 For that reason the second floor holds another living room/ kitchen with a stunning view of the hills of Limburg. 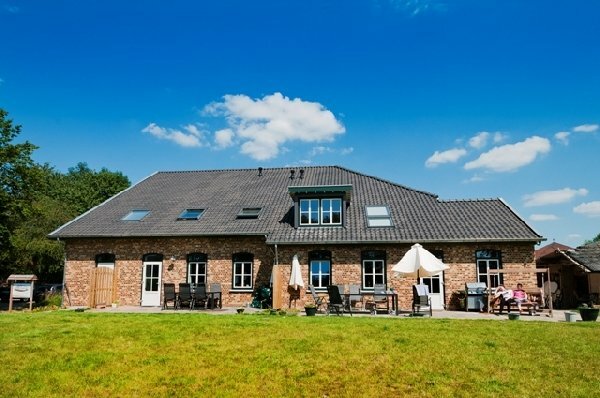 See Klaproas holiday house for the rates or click "reservations" for the rates of Maretak.